(WATCH) What Does Lilly King Think Of Unshaved & Untapered Invite Times? 2017 has been a good year for Lilly King. 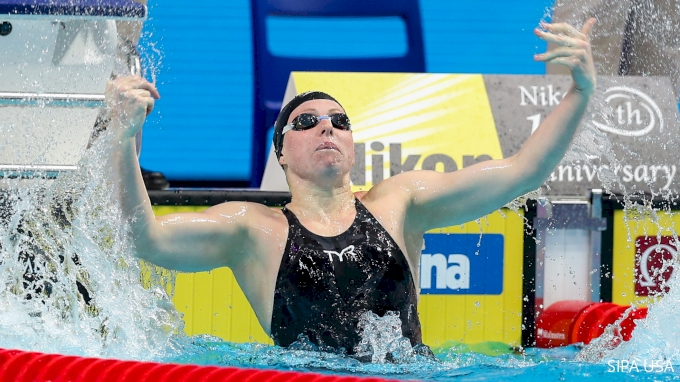 The Indiana swimmer picked up a pair of gold medals and world records in the 50m and 100m breaststroke at this past summer's FINA World Championships in Budapest, Hungary. After that sort of success, it can be challenging for swimmers to refocus heading into the college season. King, as competitive as anyone on the planet, has no plans on slowing down. So, what does she think about her performances -- unshaved and untapered -- at the halfway point of the season?